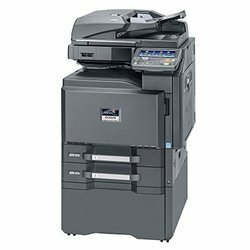 Offering you a complete choice of products which include pixma g2000 canon multifunction printer, taskalfa 3252ci kyocera multifunction printer, kyocera fs-2040 mfd printer, canon g 4000 printer, konica minolta bizhub 206 printers and tas kalfa 8002 multifunction printer. 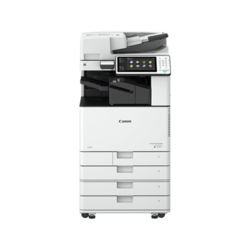 Powered by Canon’s advanced image CHIP (Concurrent Hyper Intelligent Platform) technology, the iR3025 and iR3030 deliver exceptional performance with the power to execute simultaneous copying, printing, scanning, sending, and faxing tasks. Canon’s On-Demand fusing technology also helps busy workgroups stay productive by keeping power consumption to a minimum while providing near-instant warm-up times. Choose from simple collation, stapling and hole punching, through to more advanced finishing like stacking and automatic saddle-stitched booklet making. The Super G3 Fax option saves you time and significantly reduces fax line charges. 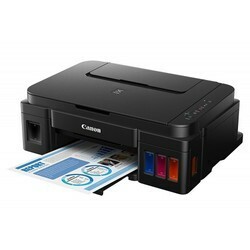 It also offers PC Fax capability for convenient faxing from the desktop. Faxes can also be automatically received into one of up to 50 confidential Inboxes for convenience and security. 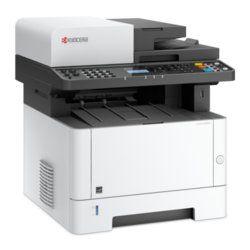 Designed with small departments in mind, these TASkalfa color multifunctional, with impressive time to first copy speeds, are flexible, high-output devices that are focussed on brilliant color performance. Various paper sizes and a capacity of up to 7,150 sheets are supported, as well as a variety of paper feeders, which give you the easy option of printing bigger jobs quickly and Continuously. If that doesn't impress you, then the outstanding image quality achieved thanks to the advanced color and toner technology definitely will. With a standard print resolution of 1,200 X 1,200 dpi, 2-bit depth (an equivalent of 4,800 X 1,200 dpi), your printouts will amaze with their sharpness, increased vividness and the wide range of colors. Finally, you can rely on these team players being there for you when you need them most. We're proud of the minimal down-time achieved by our unique long-life components that offer durability and reliability in one. Add to this less waste and longer print runs and you'll ask yourself how you ever managed without them. 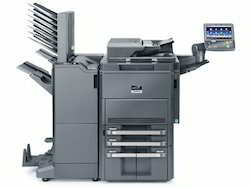 Up to 32 pages per minute A4 in B/W and color (TASKalfa 3252ci). Outstanding Image quality due to advanced color Technology. Standard print resolution of 1,200 X 1,200 DPI, 2 Bit Depth (Equivalent of 4,800 X 1,200 DPI). Flexible Paper handling from A6 up to SRA3 and beyond Including Productive Finishing Options And Various Paper Feeders For Up To 7,150 Sheets. Time to First Copy 7.0 seconds in color (TASKalfa 3252ci). 4 GB Ram, 32 GB SSD + Optional 320 GB HDD Memory And Storage. Selectable one-Path, Duplex, and 2 Reversing Document Processors. Comprehensive Support For All State-of-The-Art Mobile Communications. Security-oriented: Data Security Kit, Support for integrated id-card Authentication Supporting multiple-card Technologies. 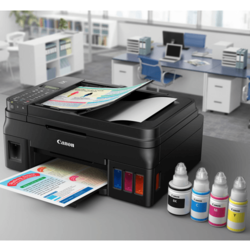 Looking for Multifunction Printers ?